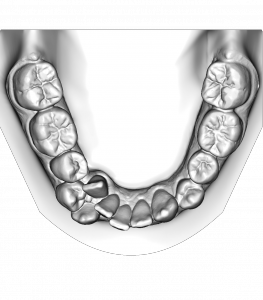 At Riolo Orthodontics we use our custom orthodontic appliance technology to allows you to view your final orthodontic treatment results before you begin your treatment. We build in your individual treatment result into your custom orthodontic appliance. We do this by digitally scanning your teeth and producing a digital model of your “crooked” teeth (see the digital models below). Dr Riolo then performs “digital orthodontics” to simulate your treatment, resulting in a finished orthodontic model of your actual finished result. 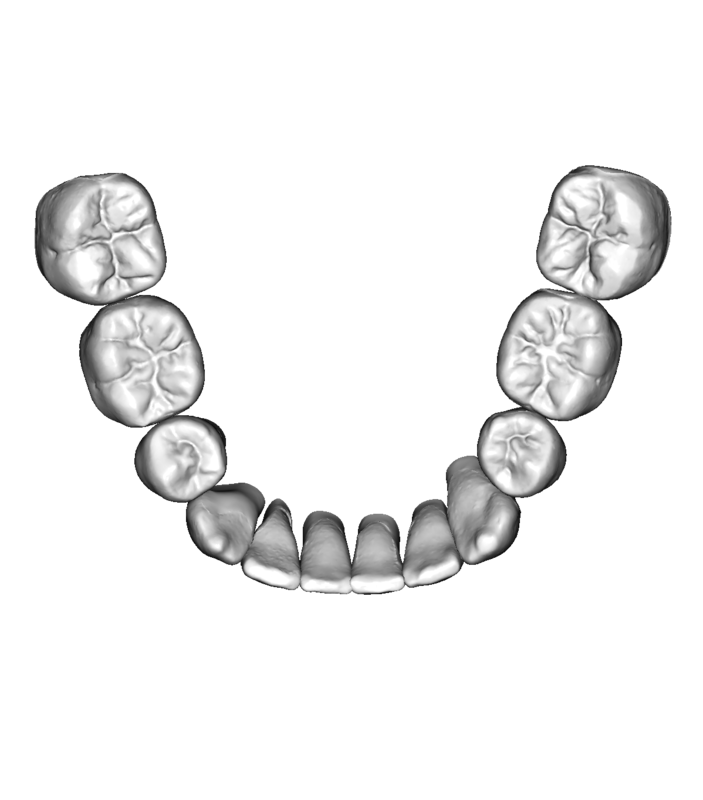 The digital model of our patients teeth before treatment. The actual finished result of a case treated using custom Incognito lingual braces in our office is shown below. The predicted finish is shown on the left and the actual finish produced in our office is shown on the right. Custom braces using this technique can be used on the front of the teeth of behind the teeth so that nobody will ever know you have braces. These custom lingual braces are absolutely invisible – No one will know you are wearing braces! These are real patient treated in our office. 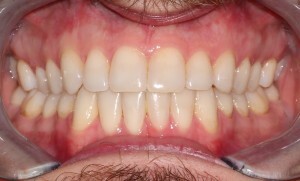 We produce these orthodontic results every day. The actual finished treatment result using custom lingual braces in our office. Custom braces produced for the front of the teeth are also “pre-programmed” with the help a digital model of the predicted finished result. These custom braces minimize the time to straighten the teeth and produce a superior treatment result. Dr Riolo designs the treatment and then utilizes SureSmile’s robotic wire bending technology to produce the highest quality treatment results available.